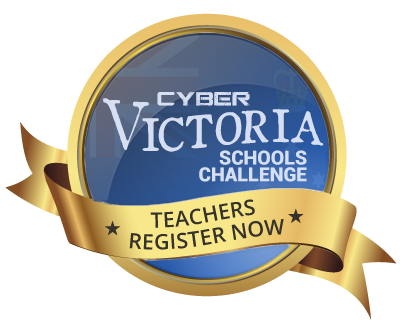 Teachers participating in the Cyber Victoria Schools Challenge may wish to align student learning activities with the Australian Curriculum Digital Technologies, ICT General Capabilities and the Victorian senior Computing courses. In addition teachers who choose to extend their knowledge and skills by undertaking the Cyber Teacher CompTIA Fundamentals of Cyber Course will build confidence in teaching Cyber, understand more fully the Digital Technologies curriculum and be better prepared for teaching Computing courses. Victorian Curriculum Digital Technologies comprises of three related strands: Digital Systems, Data and Information, and Creating Digital Solutions. There are many instances where students will utilise skills learnt with Digital Technologies curriculum and within the Cyber Security Experience. Rationale and Aims - The Digital Technologies curriculum enables students to become confident and creative developers of digital solutions through the application of information systems and specific ways of thinking about problem solving. Structure - Digital Technologies comprises of three related strands: Digital Systems, Data and Information, and Creating Digital Solutions. Learning in Digital Technologies - Key concepts of integration between learning strands, student safety, and connections with other curriculum areas. Scope and Sequence - The curriculum sets out what students are expected to learn and is designed as a continuum of learning. Introducing Digital Technologies (PowerPoint) - The Victorian Curriculum F–10 incorporates the Victorian Curriculum and reflects Victorian priorities and standards. The Victorian Study Design Computing comprises of student activities and assessment tasks that can be pursued in the Victorian Cyber Schools Challenge, particularly of note the study of data integrity and security in Unit 4 Informatics. Other elements of computer systems and software development are also highly relevant.